In what has been a hellish start to the season, this has been most hellish week - and, it must be said, some of their own doing. The tide was supposed to turn for one of the Lions or the Suns after Saturday night's QClash 9 at Metricon Stadium. But to the victors go the spoils, and in this case, the Suns' first win of the season was indeed spoilt. Three players, no, make that four, were suspended by the club for getting on the booze when they shouldn't have been, another suspended by the league ... when he shouldn't have been, three more players injured, and now questions being asked of both the club over its culture and the captain over his leadership. 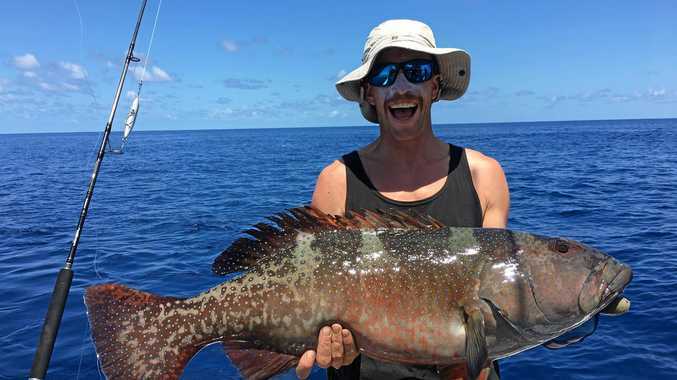 Celebratory drinks had been put on hold ... until the following day that is, when Harley Bennell, Trent McKenzie, Brandon Matera and later Danny Stanley were caught breaching the club's season-long policy of players not consuming alcohol six days before their next game. They will all play in the NEAFL today. Fullback Steven May won't be able to play any footy after he was rubbed out by the tribunal for three matches for what many believed to be a fair bump on Lions skipper Tom Rockliff. Injuries to Jack Martin (ankle), Seb Tape (knee) and Jarrod Garlett (ankle) ultimately made it seven changes to coach Rodney Eade's side that will host Adelaide at Metricon Stadium this afternoon. Clay Cameron, Rory Thompson, Aaron Hall, Zac Smith, Luke Russell, Mitch Hallahan and Andrew Raines come in to the side, Raines, 29, playing his first game since crossing from Brisbane. So there's still no Nick Malceski, Jaeger O'Meara, David Swallow or captain Gary Ablett either. 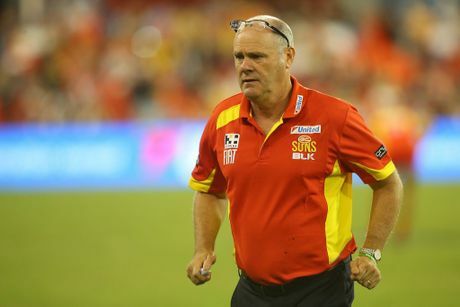 In fact, there's been no Ablett at all throughout arguably the Suns' most tumultuous week in their short history. Instead, vice-captain Michael Rischitelli has led the way on and off the field as the club's best performed player and chief driver of ethical standards, raising suggestions he be made the official leader. Losing their fifth game in a row was the least of the Lions' worries as the week unfolded. First they had outspoken premiership hero Jason Akermanis questioning the players' fitness, in particular small forwards Allen Christensen and Josh Green. 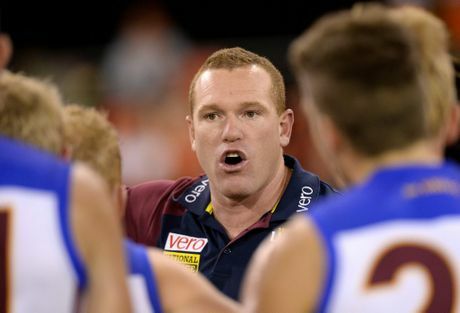 Then there was coach Justin Leppitsch being felt compelled to make a public apology for man-handling mature-age rookie Zac O'Brien during half-time of the reserves match. If we weren't in this politically correct era, he should probably be doing that to all his players. On top of that, Rockliff remains under an injury cloud with concussion, while Brent Staker looks shot as an AFL player. Rockliff has been named in the side to play Carlton at Etihad Stadium tomorrow, but Staker is out and it remains to be seen if the premiership Eagle will be back. Could it get any worse? Well, the Lions could lose to the Blues. BACKS: S Tape (GC, knee) S May (GC, susp) G Broughton (GC, susp); T McKenzie (GC, susp) D Merrett (BL, hamstring) N Malceski (GC, knee). MIDFIELDERS: A Smith (BL, knee) T Rockliff (BL, concussion)* G Ablett (GC, shoulder); P Hanley (BL, hip) D Swallow (GC, knee) J O'Meara (GC, knee). FORWARDS: H Bennell (GC, susp) S Day (GC, elbow) S Mayes (BL, foot); M Close (BL, knee) J Freeman (BL, glute) J Martin (GC, ankle). INTERCHANGE: D Stanley (GC, susp) J McGrath (foot) J Paine (shoulder) J Garlett (ankle).